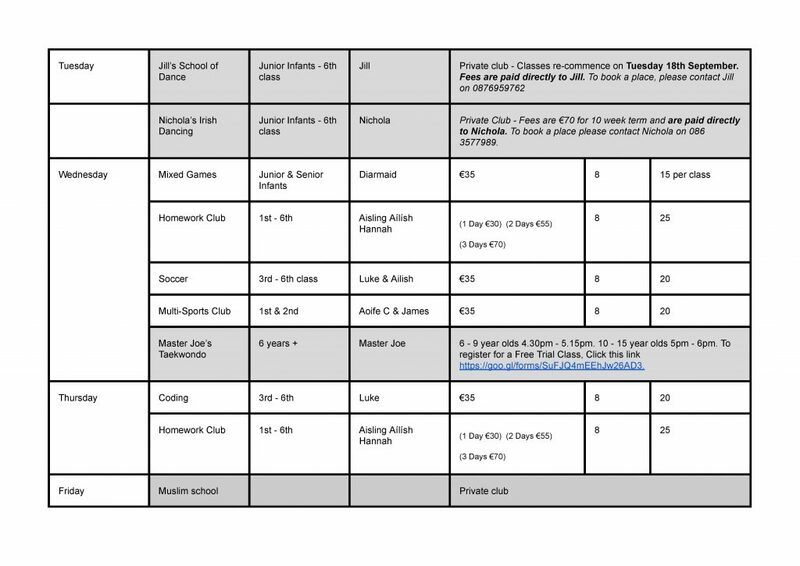 After-school clubs for Term 3 are now open for registration. 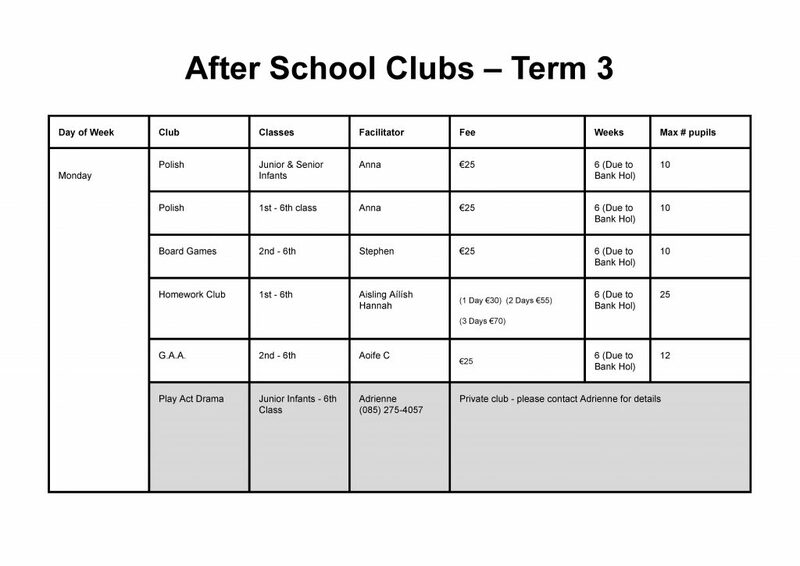 Please note: Money towards after-school clubs will not be collected in the school office. Money will be collected by the teachers running the clubs. Clubs operate from 2.10 – 3pm on Mondays, Wednesdays and Thursdays.